Posted on November 23, 2012, in 21st century republicanism and socialism, Censorship, Democratic rights - general, Irish politics today, Prisoners - current, Public events - Ireland, Revolutionary figures, six counties, Women in republican history, Women prisoners. Bookmark the permalink. 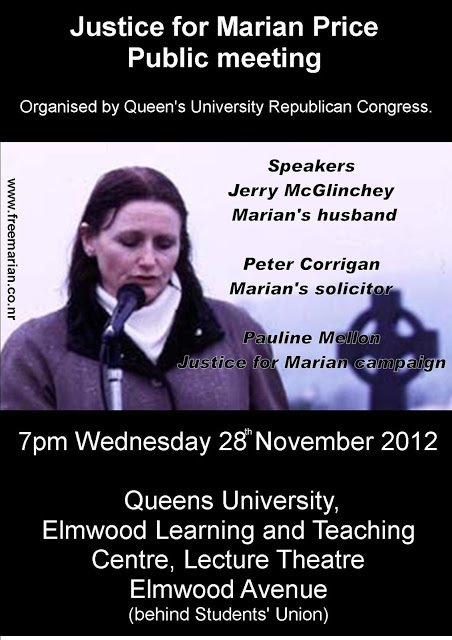 Comments Off on Marian Price meeting, Queens, Wed, Nov 28.